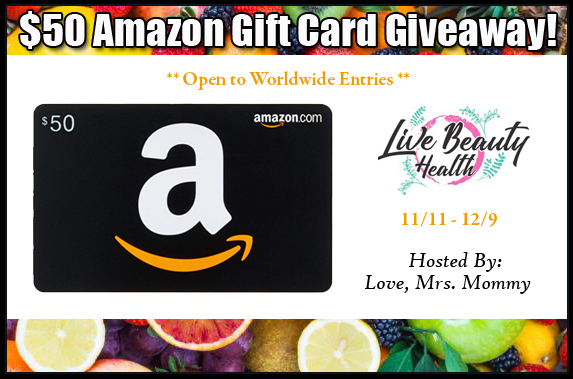 Love, Mrs. Mommy: Live Beauty Health $50 Amazon Gift Card Giveaway! Live Beauty Health $50 Amazon Gift Card Giveaway! free amazon gift card codes Thankyou for this wondrous publicize, i am glad I discovered this internet site upon yahoo.